If you love fluffy, soft, dense, gooey cookies, then this Fluffy Chocolate Chip Cookies Recipe with toasted pecans and two kinds of chocolate is for you! Gigantic, fluffy, dense chocolate chip cookies that kiiiiinda of remind you of ridiculously soft and dense scones. TWO kinds of chocolate in your cookies: dark & semi-sweet <– yes. please. Is that even a real question, Jennifer? Fun, secret ingredient mix-ins like a dash of cinnamon, a bit of almond extract, and pinch of cornstarch for extra fluffy cookies. Cookies the size of your face. If you want something a little smaller, be sure to check out my double chocolate chip cookie recipe, but I seriously think you should stick around to hear more about the awesomeness that is these fluffy cookies. Fluffy Chocolate Chip Cookies that are the size of your head, fresh outta the oven, with a side of ice cold milk? Let me say it again: Fluffy Chocolate Chip Cookies. These Fluffy Chocolate Chip Cookies are magical. These cookies will make a bad day, better, and will make a good day, outta this world amazing. Seriously. I mean, what’s not to love about a cookie that’s the size of your face? Ahhh. It makes me happy just thinking about them. I should mention that they’re a cinch to make as well. How do I make soft and cakey, thick, fluffy chocolate chip cookies? As with most cookie recipes, we’re gonna start by creaming some butter. Usually I like to use melted butter, because I’m too impatient to wait for butter to come to room temperature, plus it makes for a nice chewy cookie. Once the butter has creamed, two types of sugar get added in, then eggs, vanilla, and almond extract. Lastly, we add the dry ingredients: flour, cornstarch, baking powder, baking soda, salt, and cinnamon <– this makes them extra cozy. Oh, and then the best part. The mix-ins! Bake ’em until they’re fluffy and golden, and you’ve just made yourself the BEST Fluffy Chocolate Chip Cookies. These are best right outta the oven, but are also great a few days later after you microwave them. Now. Here are some common questions I get, because as we all know, baking can be tricky, so I’m here to help you troubleshoot if you’re having any issues (although, I don’t think you will, because these are SO easy to make). Why are my cookies flat and greasy? You really shouldn’t have this problem, but if you did . . .
Did you use cold butter? Melted butter will make these spread and could cause them to be greasy. Did you use too much butter? Did you use enough flour? Why did my chocolate chip cookies come out flat? Did you chill the dough? Did you use enough brown sugar? How do you know when a chocolate chip cookie is done? They should be golden brown and delicious! 😉 The top, bottom, and edges should be firm and golden, but the inside will still be nice and soft. 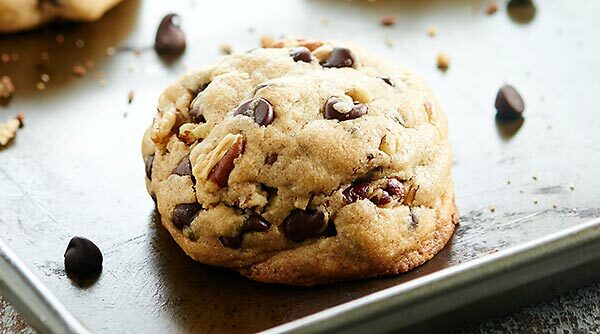 These Fluffy Chocolate Chip Cookies are thick, dense, so soft and fluffy, full of melty chocolate, and get just a little crunch from the pecans. PS – I still use these silicone mats, and I still ♡ them. 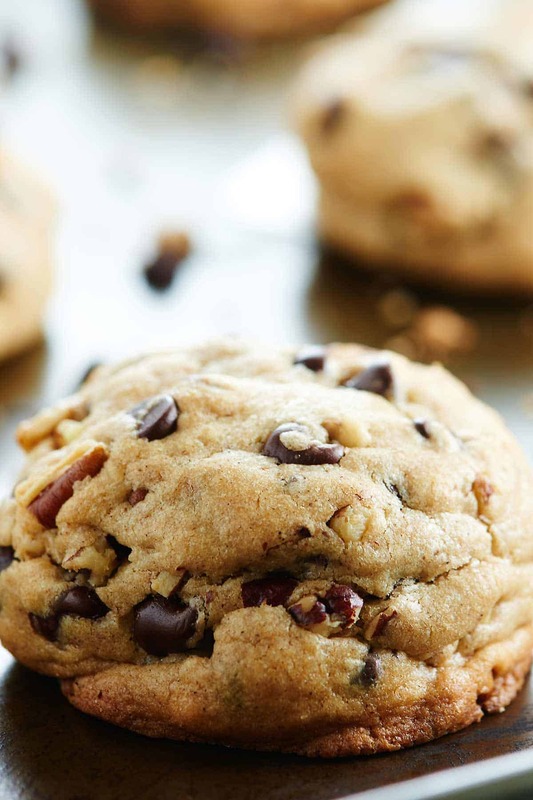 Fluffy/dense or chewy chocolate chip cookies? Show me the yummy! Line two rimmed baking sheets with silicone mats. Set aside. Whisk together dry ingredients in a large bowl: flour, cornstarch, baking powder, baking soda, salt, and ground cinnamon. Set aside. 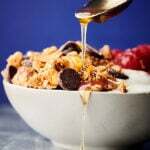 In a small bowl whisk together eggs, vanilla, and almond extract. Set aside. In your stand mixer, cream cold butter until fluffy, about 1-2 minutes. Add in brown sugar and granulated sugar. Pour in egg mixture and mix until just combined. Add flour mixture 1/3 at a time until well combined, scraping down the sides as needed. Stir in both chocolate chips and pecans. Using about 1/3 cup, scoop out dough and form 12 cookie balls. Place 6 on one baking sheet and 6 on the other. Place in fridge and refrigerate for 30 minutes. Remove from oven and let cool on the baking sheet for 5 minutes. Transfer to a wire cooling rack and serve! This are best served fresh out of the oven, but microwaved warm is delicious as well! **For the cookies: It's really important to not over bake these! I find that 19 minutes is perfect for my oven. I can not get over how THICK these are! I seriously want to reach across my screen and demolish them….. Thanks Julie! 🙂 We ate them all (should I be admitting that? 😉 ) or else I’d send some your way! Whoa, these are ridiculously tall and fluffy! At first I did a double take, and had to check to make sure that wasn’t two cookies stacked on top of each other. I need these cookies in my life ASAP! You guys are so fun in your videos! I want to come over and bake with you and then of course eat some cookies 😉 These look great!! Looks amazingly delicious. Wish I could grab some right now! Can these be made solely with chocolate chips and white chocolate chips, with no other nuts and or cinnamon, only cause some of my friends are allergic to nuts etc. I will make the original recipe tomorrow, but curious if you have a recipe on just using chocolate chips without compromising the fluffy baseball shape lol. Hi Ely!! You can definitely omit the nuts and cinnamon 🙂 Enjoy!! Hi Anaa! 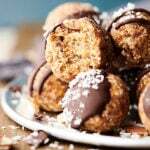 It just helps bring out the flavors and add depth to the cookies, but it’s not necessary! 🙂 Enjoy!! I did try a 1/3cup and my cookies turned up fluffy,gigantic & super yummy ! Thank you for this recipe n video. This recipe sounds great. I have been looking forever for a chocolate chip cookie recipe that will give me Fluffy cookies. I have tried many and with no success. Very sad. I am so interested in the cold butter thing–and the cornstarch. I can’t wait to try this. 2) I would like to make them regular size–will they still come out fluffy? 2. They should still come out fluffy, but obviously they won’t be quite as big and fluffy as when you make them the larger size. I hope you love these Heather!! Thanks Jennifer. Looking forward to them. I’ll let you know how they turn out. You’re so welcome! Can’t wait to hear!! How long should I cook them if making mine smaller ? You mention a ‘pinch’ of cornstarch in your description, yet the recipe calls for 2 tablespoons….that sounds like more than a pinch. Is it really two tablespoons? It’s really 2 tablespoons 🙂 Enjoy! I made the cookies a couple of days ago and received a unanimous thumbs up! Thank you….this one’s a Keeper! I made these last week and they received an unanimous thumbs up. Wahoo! Thank you so much Nina!! If my cadet recipient of your delicious cookies isn’t a nut fan can I make these pecan less without a problem? Can I use the same format of the recipe with white chocolate macadamia nuts? My boyfriend loves WCMN, so I was wondering if I might have to tweak the recipe some. Jennifer, let me tell you, the white chocolate macadamia nut cookies came out awesome! I did a test batch to sample before I made them for my boyfriend. Me and my cousin made a day out of making cookies, they tasted wonderful! We made some without any nut products (i.e. No almond extract sub for vanilla and just ghiradelli dark choc chips) also delicious. My family requested I make both ‘flavors’ in smaller size for the next gathering. thank you so so much for sharing, I absolutely love thick cakey cookies. 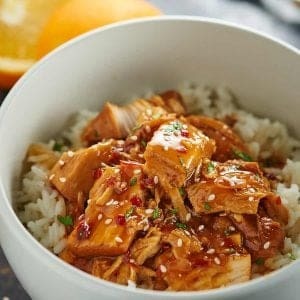 This is my new go to recipe! I’ll finish up soon, but I’m curious how best to save the raw dough for later? Do you recommend refrigeration or freezing? I want to make a big batch and bake at my leisure so I don’t end up eating them all at once. Let’s just say I’ve been watching my girlish figure… expand. I patiently await your response, and thank you again! I’d like to make an oatmeal raisin version and end up with the same impressive shape. Any recipes out there? Thanks! Made these cookies yesterday but just a bit smaller. Head and shoulders above the rest in taste, texture and certainly, looks. Are these a cookie cookie recipe to also put icing on to make them for a wedding? My cookies always turn out flat whether I have cold butter, cool pans, chilled dough, different flour types, etc. Despite my previous failures, this recipe gave me the fluffiest cookies and I was pleasantly surprised! Mine looked just like the video. I’m not a fan of nuts or almond flavoring so I excluded those but the cookies still came out great. Will definitely use this recipe again however I wish I knew the oven temperature and baking time to use if I wished to make smaller cookies. Also I wish these were a little more buttery so I may experiment with that next time as well. So glad you like these! For smaller cookies: same temp, start with 6 minutes and go from there. Really depends on how small you want them though for me to be able to tell you. More butter flavor: try butter extract, I wouldn’t miss with adding more butter or anything. Your husband is a natural!! I will send you the one on Yummly of your blog. Best cookies ever! I have read and tried so many thick cookie recipes and NONE ever work. They always go flat. These are prefect and thick and delicious. Thank you this is my new go to recipe! I’m a lightly scoop and sweep 🙂 Unless it’s whole wheat which is so much more absorbent, so I spoon and sweep 🙂 I hope that helps! Hello! Just wondering if the almond extract is used for flavor or for actual cooking ‘chemistry’ I have some nut allergies in my household and would like to know. 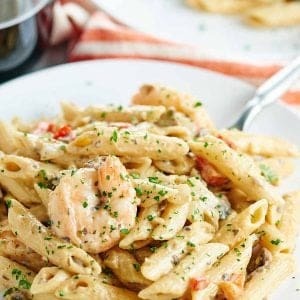 What does the cornstarch do in this recipe? I’m playing around with my own but haven’t tried adding cornstarch yet! Does it just help avoid spreading? For years I’ve been trying to bake cookies from recipes online to even recipes in the back of a chocolate chip bag and was not satisfied with the taste or texture. I got tired of trying and just bought already made cookie dough by the tub and just baked those. although those are tasty, nothing beats homemade.. I love fluffly, thick cookies and wanted to give these a try. I am so glad I did!!!!! These are by far thee BEST cookies I have EVER made and I am forever going to use this recipe!! I had to subtract some ingredients like the almond extract and cinnamon only because my bf just loves a plain and simple chocolate chip cookie. But I would love to try another batch with everything inside. Thank you so much!!! All the way from Hawai’i..
That’s amazing!!! Thank you so much!! 🙂 That makes me so happy!! I’m so excited to try these cookies! I do have a question regarding toasting the pecans…in your “Notes” you say to bake them for 8-10 minutes but then you add that you’ve found 19 minutes to be perfect for your oven. Is 19 a typo or is that the actual amount of time you bake the pecans for? Hi Susan! 8-10 minutes is for toasting the pecans. 19 minutes is for the actual cookies. 🙂 Hope that helps! Thanks Jennifer – I’ll be baking these today and will let you know how they turn out! I never review anything I make, but I have to review these cookies. AMAZING!!! These will be my new recipe!!! Thank you! Aww thank you so much!! 🙂 Happy New Year! hi,I’m from iran because of that if I say something wrong plz forgive me! I wanna to ask if I dont use pecans can I use chocolate chunks? still will be fluffy? I wonder if I could use slivered almonds. Hi…if i want to omit the nuts in this is there anything i need to change in the recipe? Nope! 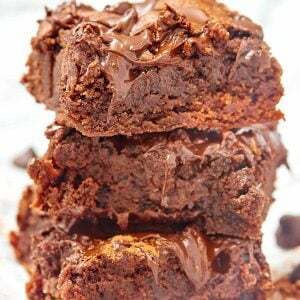 You could add more chocolate chips if you want!